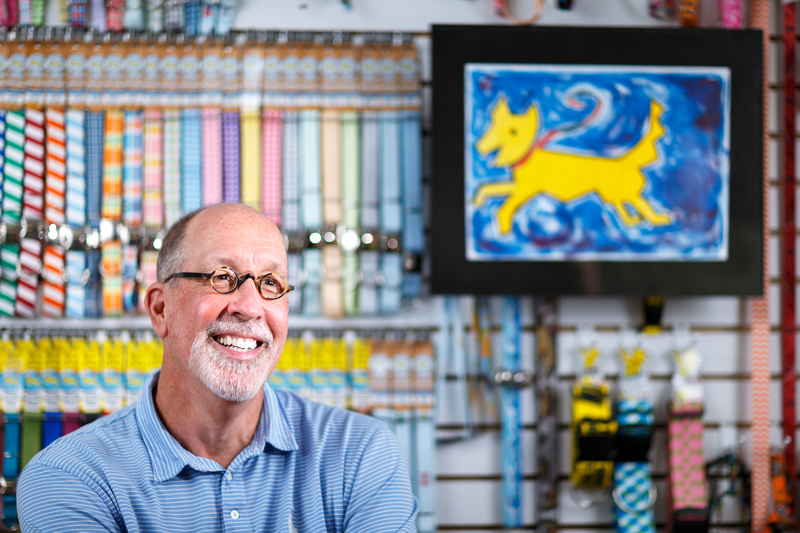 Odds are that you have seen Yellow Dog Design’s products around town. If you have a dog or cat, there’s a good chance you may even own a Yellow Dog Design collar or leash. In 2001, brothers Don and Mike Dempsey decided they wanted to start a business together to combine their experience with dyes and printing. Don wrote a business plan, they got a loan, within 30 days they were in business and just another 30 days later they were profitable. At first they were mostly producing lanyards and other promotional materials for companies. In 2004 though, the brothers decided they wanted to shift the business to focus on pets. In March 2005, they went to their first pet show and haven’t looked back since. The name of the company came from Mike’s yellow lab, Sugar, who lived a fantastic 16 years. “She was a great dog and a good girl,” Mike commented. 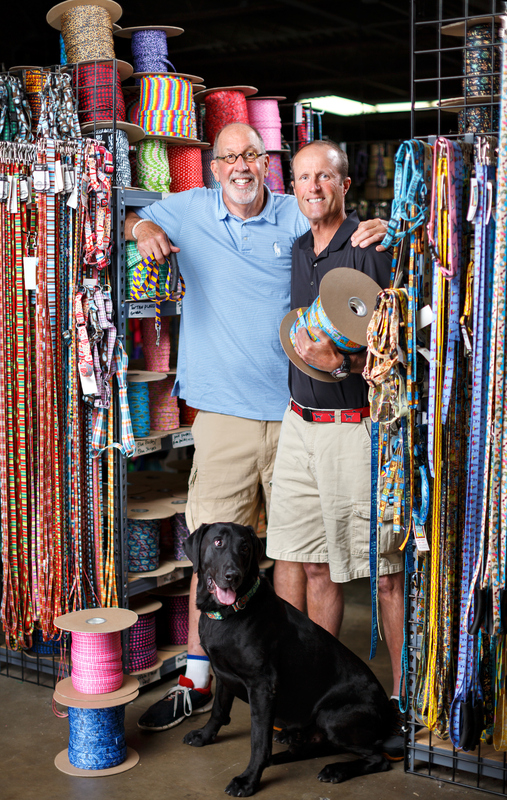 “Now our business is much more than designing and producing dog collars and leashes. 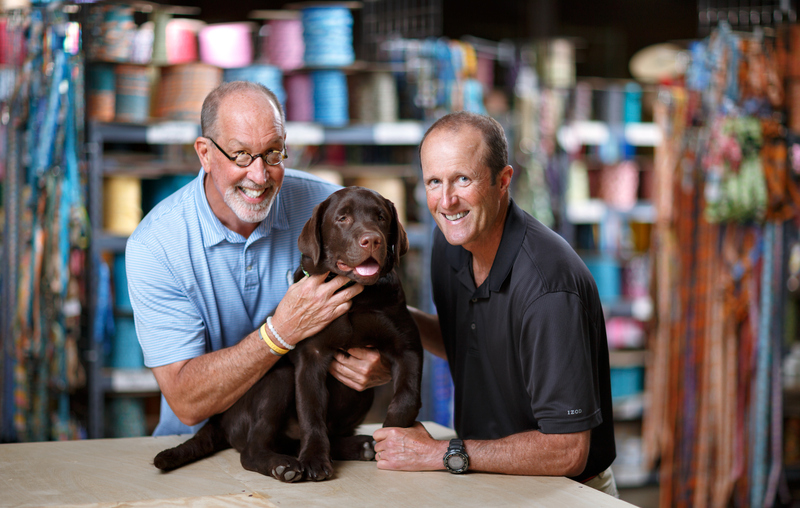 We produce products like shoe laces, men’s and women’s belts, elastics and ribbon printing, all under one roof here in Greensboro. We even have our line Red Haute Horse, where we offer halters, leads, reins and headstalls for horse owners,” Mike said. “We feel strongly about our community. We have a great sense of pride to be in Greensboro and employ families in Greensboro. This carries over to working with Natty Greene’s, the Greensboro Grasshoppers, the Downtown Greenway, Red Dog Farm and more. We give back any way we can and support local causes,” Don added. Yellow Dog Design creates new designs every month. They even have officially licensed products from your favorite college teams and the NFL, NBA, Major League Baseball and the NHL, which are all big sellers. As you might expect, all dogs are welcome at Yellow Dog Design. “While we take our work seriously, we also like to enjoy what we’re doing and we like having our dogs around. We currently have about 10 dogs or so who join us at work every day,” Don said. Yellow Dog Designs can be found online and in stores throughout the world.